Sometimes perfumes that are centred on happy travel memories can bring a certain retrospective allure even if the fragrance will not in all reality make your top ten. Perfumes that are worn or purchased on a memorable journey will always hold a special place, as one spray takes you right back. The summer before last I was pretty pleased to be on a quick visit to Paris with a great friend from New Zealand who had a few weeks up her sleeve in Europe. We were seeing the sights and sweltering in the heat but always thanking our lucky stars that we were able to have some time together in that gorgeous city far away from home, plus we were child free to boot. So apart from being bedazzled by the Crazy Horse burlesque display, sipping the odd outrageously priced cocktail and watching Parisians saunter by, one of my missions was to visit the original Diptyque store to try some perfumes in the mother ship. For some reason this was one of the first niche perfume brands that I was aware of although this was due to their lovely candles that I’d always been drawn to for their simple but somehow whimsical design. Diptyque was started by three friends, Christiane Montadre-Gautrot, Desmond Knox-Leet and Yves Coueslant in the late 1950’s. They originally created designs for furnishing fabrics before opening their store that sold wooden toys, pot pourri and other artisanal wares. 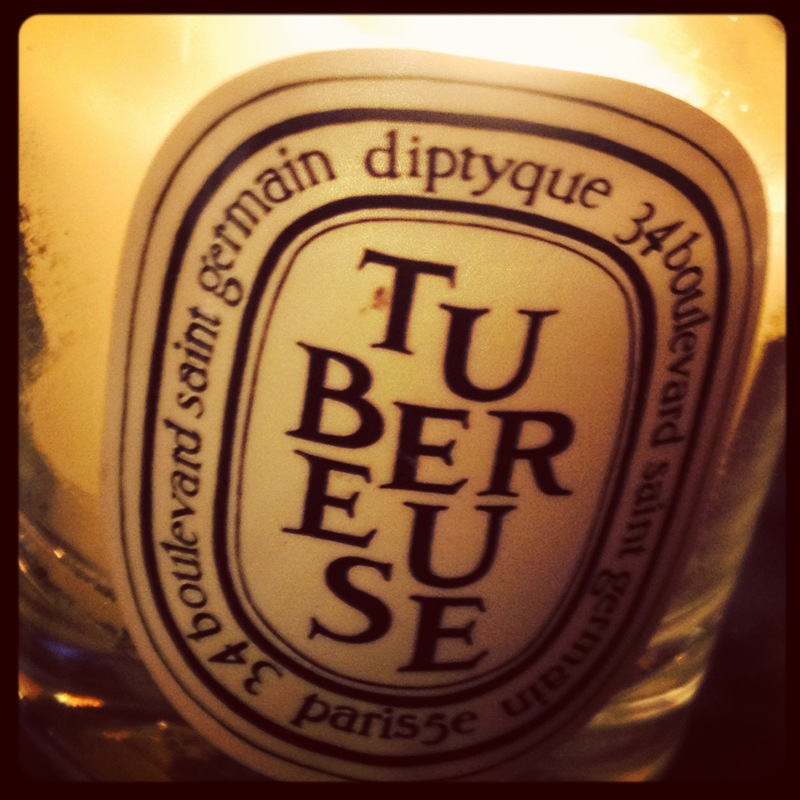 The now classic candles came soon after and the first perfume, L’Eau was introduced in 1968. The brand was inspired in part by the founders’ love of nature and their world travels. The inside of the boutique at 34 boulevard Saint Germain remains close to its original state and is full of antiques housing its wares in a tasteful yet slightly quirky manner. Its artistic heritage is clearly visible inside the store. The Diptyque mini shops housed in the grand department stores such as Printemps somehow fall short in capturing the sense of art and history, although they do function well in a more contemporary sense of showing its more modern face. The sales assistant was extremely knowledgeable and let me spritz to my heart’s content. 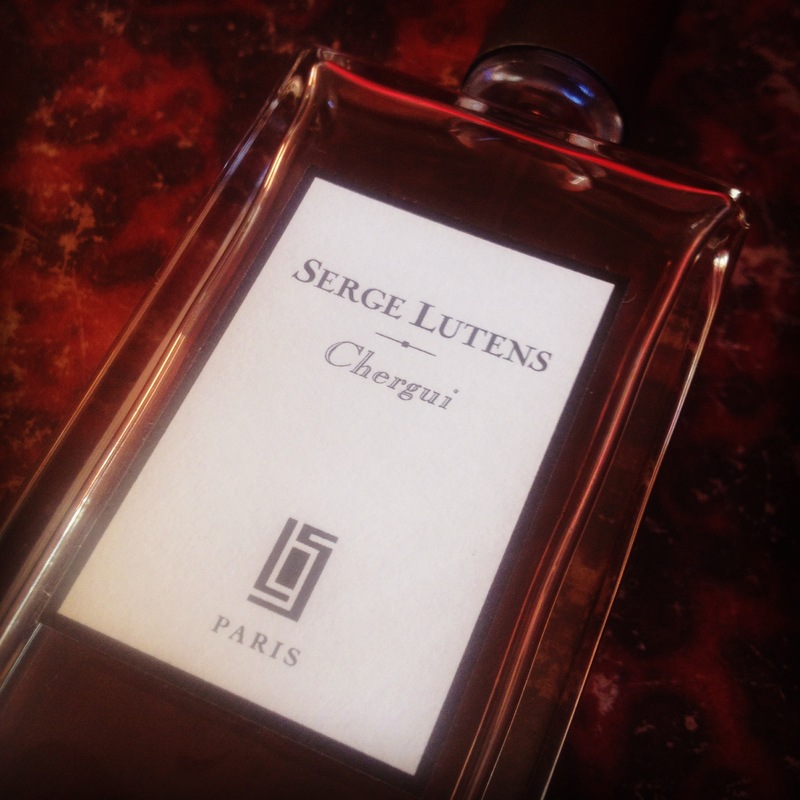 I was drawn to Eau Lente, a spiced oriental inspired by a trip that Desmond and Yves took to Alexandria and Macedonia in 1974 and the discovery of Alexander the Great’s love for perfumes. I nearly succumbed to its charms and am still lemming this one, although I did also leave with the Opoponax candle that has a similar scent. The assistant then showed me their new release, Volutes EDT – and I was immediately captivated and bought it after only a brief sniff. These days I take more time to get to know a perfume before I buy as my tastes have developed and only on the very rare occasion will I still purchase like this. I suspect a lot of novice perfume purchases come from just one in store spray. Today many fragrances are front loaded to put the excitement and dazzle in the first notes you smell, while fading quickly to a messy finish a few hours later. However you won’t pay attention to its sad demise as you’ve fallen in love with the sparkle. In my pre perfume obsession days I didn’t know that there were top, middle and base notes and I was pretty much captured by the zeitgeist of marketing and whether the model representing the perfume was someone I thought had a certain je ne sais quoi or there was an aura that connected. Yes Balenciaga Paris and Charlotte Gainsbourg I’m thinking of you plus I really liked the bottle design. Volutes EDT was released in 2012 and created by Diptyque regular Fabrice Pellegrin, a Firmenich perfumer. He is the nose behind many of their more recent releases such as Essences Insensses (2014), Eau Mage (2011), Eau Duelle (2010) and Do Son (2005). He was also behind the team that created the figgy caviar concoction with what I believe may well be the worst perfume name in history, ‘Womanity’ for Thierry Mugler. Base: Opoponax, myrrh, styrax and benzoin. 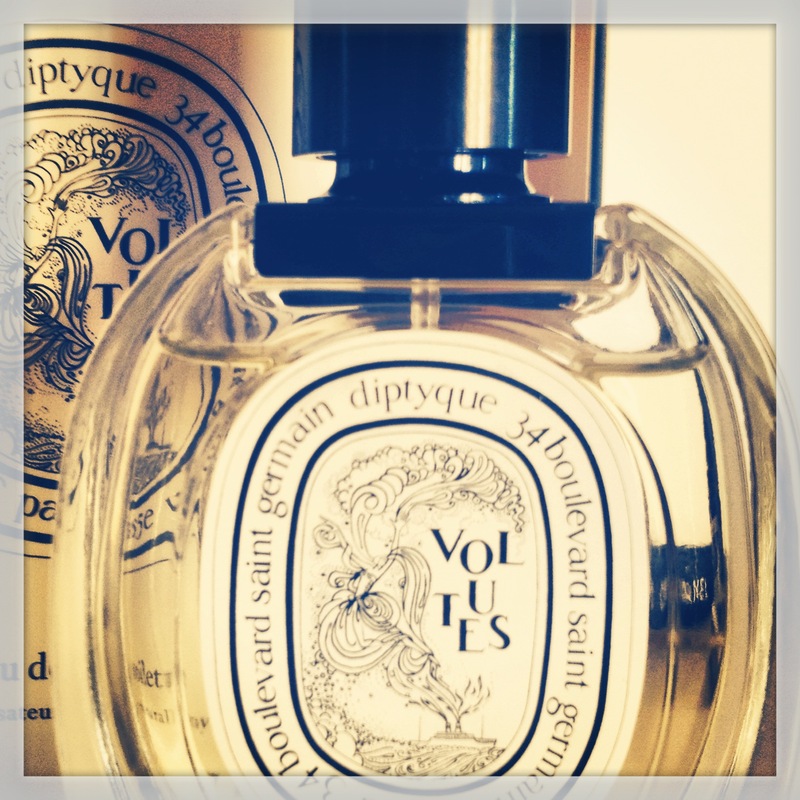 Volutes opens with a light peppered note and a dash of citric fizz. The iris and tobacco then begin to make their presence felt in a translucent, airy and playful way. A soft veil of honeyed sweetness emerges with a slight dryness yet never at any stage does it become cloying or over the top as honeyed perfumes are wont to do. It is a quiet scent quite early on for me and it is not a stretch to imagine gauzy smoky swirls softly enveloping your skin. Volutes warms up after the initial sharp burst and takes on a lightly spiced hue, however this is miles away from the spiced aromatic souks that Serge Lutens’ oriental fragrances evoke. The tobacco also amps up slightly with a cherry nudge and a hint of what I think is myrrh comes through and it feels very smooth. There is nothing jarring here. Occasionally I get a leather vibe, which must be the styrax but this doesn’t hang around for long, which is a bit of a shame. The perfume becomes lighter quite quickly and half an hour into wearing it feels like a skin scent on me and I need to put my nose right up to my skin to catch it. Volutes is by no means a sillage monster. It does have a few surprises up its sleeve though and sometimes I will catch a honeyed swirl of this perfume unawares. Even though it is a quiet perfume on me it does last for at least four hours but it no longer feels like a tobacco fragrance, it becomes a cuddly waft of benzoin. This is a perfume that definitely works for both women and men. The smoky aspects are traditionally more masculine while the honey counter balances this with a feminine touch. I say traditionally because the fact is that a lot of women love smoky perfumes (plus this one is on the tame side) and I dare say that some men love a touch of honey. I do think this probably has quite a broad appeal and would be a good fit for anyone looking for an easy to wear perfume with a slight nudge beyond the mainstream. This will offer a contemporary, smart casual fragrance option. It would actually be a great starter tobacco fragrance if you are looking to dip your toes into this smoky haven. If like me you hate smoking, you may bizarrely find that the smell of tobacco perfumes is quite alluring. They don’t really smell at all like actual cigarettes being smoked or worse – a stale ashtray. Actually Jasmin et Cigarette by Etat Libre d’Orange may be the exception to the rule there. I do think Volutes is better suited to autumn and winter as it leaves a lingering touch on scarves and coats that is rather delicious. It works better as a daytime scent however it could transition easily enough to evening if you overspray and give yourself a good dousing. I do think it would make a great work scent and has enough of the niche thing happening (whilst not being wildly edgy) to give it a slight covetable angle. Because this perfume is linked to my Paris holiday, I always imagine that I’m at a Parisian café on one of the street tables enjoying a coffee (preferably one flown in from NZ or Australia – French coffee is not winning any prizes with me) while life flows on around me. Compared to other tobacco fragrances that I’ve tried such as Chergui by Serge Lutens and By Kilian’s Back to Black, Volutes feels like a more approachable, lightweight oriental. Both Chergui and Back to Black are definitely gutsier and make a stronger statement. Volutes is lovely but more relaxed and less complicated. Other tobaccos to try that have a sweetness to them would be Tobacco Vanille by Tom Ford and A*Men Pure Havane from Thierry Mugler. It has to be said that the Tom Ford and By Kilian are on the pricy side although By Kilian does provide less expensive travel and refill options. For me Volutes EDT is an airy, relatively light tobacco and honey fragrance with a luminous touch of iris. It is lightly sweet with a soft sillage that is really easy to wear. It’s undemanding, very smooth, well blended and pleasant. It has a modern allure. On the downside it lacks the wow factor and you won’t find any oriental exoticism here, however it just may be that this is one of those perfumes that slowly gets its hooks in and you’ll find that you’re reaching for it again and again. Note: I have the coffee table book ‘Diptyque’ by Elizabeth Feydeau and I sourced information for this post from it. It’s a great read if you’re interested in knowing more about the beginnings of this brand. 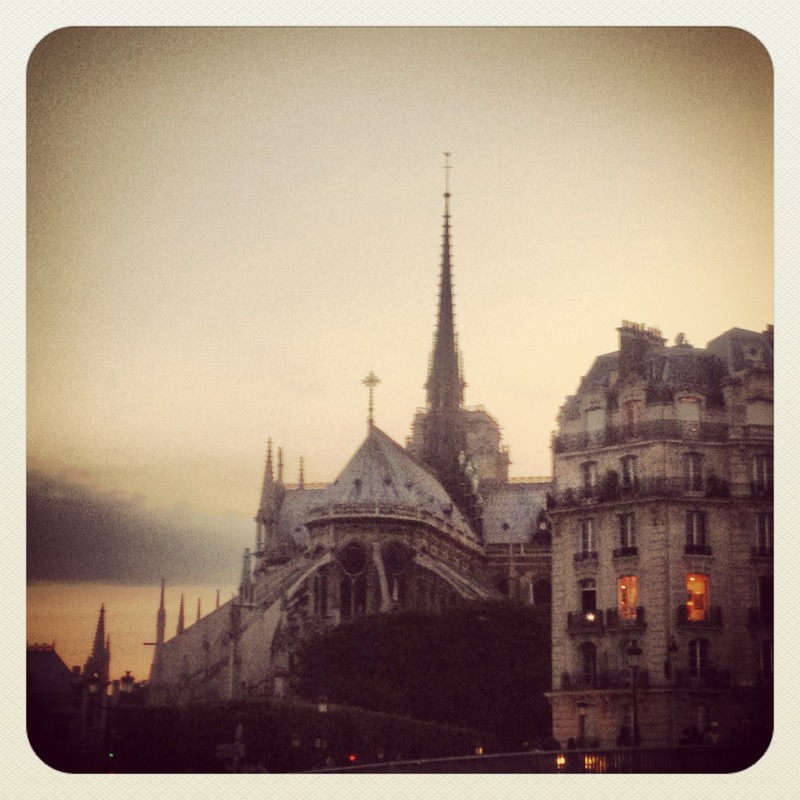 Do you have any travel memories that are linked to perfumes? Volutes is indeed a perfume with many stories captured within it’s ephemeral beauty. I am getting the impression we have similar tastes! Yes I believe we may share similar excellent taste after watching some of your reviews. I’m not sure if you’ll look back to my reply but can I ask you – do you prefer doing the videos or the blog? Because after finally getting a few posts up here, I can see that the videos may provide a bit of fun. I enjoy both… The written ones I feel are more in-depth and harder to do. Ultimately the blog more personally rewarding and challenging than the vlog. The videos are mainly just fun and light. I really enjoy both mediums. 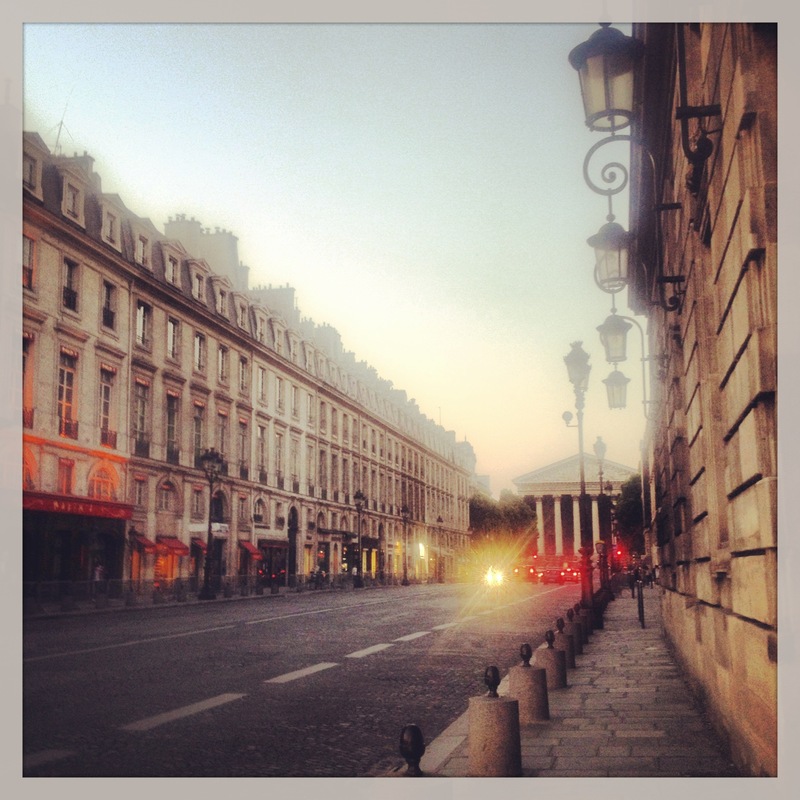 You are great on both mediums – not really the done thing!